How can lung cancer treatment affect a patient’s appetite? Why is weight loss an issue for people undergoing lung cancer treatment? What are some tips for lung cancer patients who are trying to gain or maintain weight? Learn the answers to these questions and more during the next LUNGevity Experts Twitter Chat on Wednesday, March 27, at 8:00 PM ET. We’ll be chatting with Tasha Feilke of Savor Health. 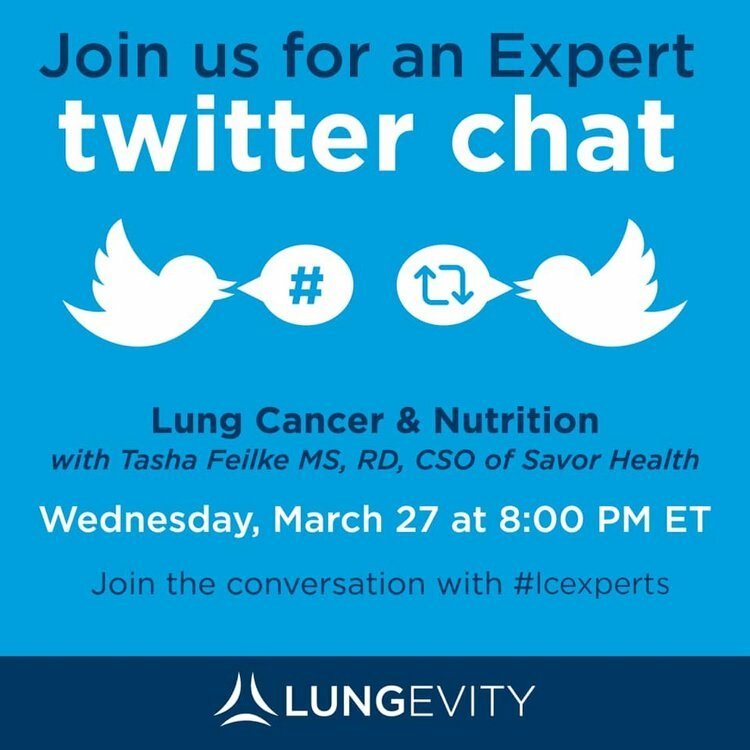 Use #lcexperts to follow along or join the conversation on Twitter!